For those of you who have limited but valuable time, a short program that will get you your first certificate as a diver. Certified PADI scuba divers will be able to dive to a maximum depth of 12 meters under the direct supervision of a PADI professional. By choosing this program that does not require a lot of your time you get to open a window to the underwater world. Minimum time required: 2-3 days. What you learn in the SEA U dive center in Folegandros: You will learn all the basics of scuba diving and also how to use the basic scuba diving equipment so as to dive in total safety. 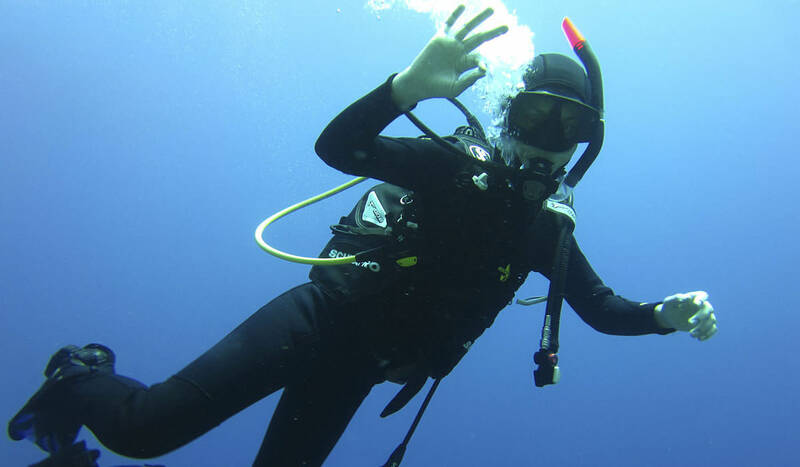 You will complete an introductory course and also develop the basic scuba diving theory. Prerequisites: To take this course participants should be at least 10 years old. No pre-training in diving is required.